Hey everyone! Meet Jordan! She is the genius behind the featured blog of the week, Blue Print Crafts. I love when you find something at a store, laugh hysterically at the outrageous markup in price, and say to yourself in total confidence, "I can make that, better and cheaper." And that is precisely how Jordan rolls. 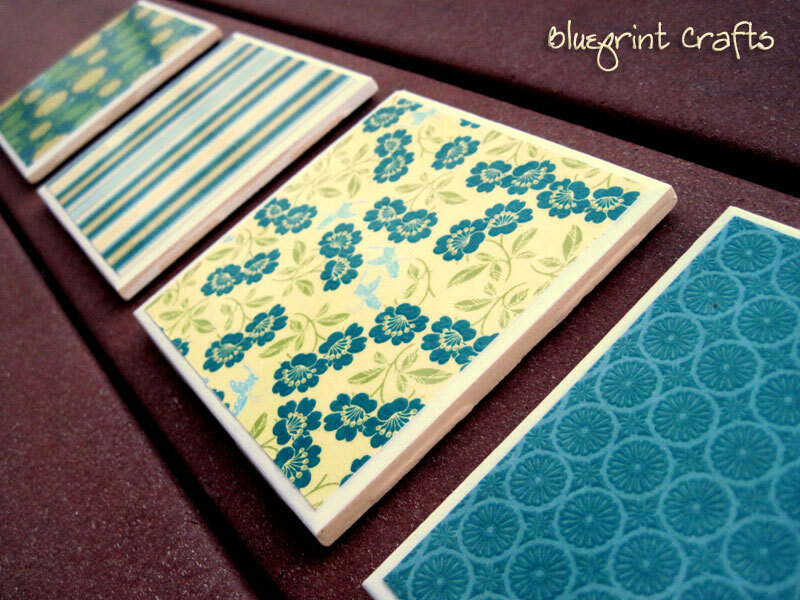 See these DARLING tile coasters? She saw some at Tarshay (aka Target) for $15 and had her own "I can make that" moment. Get the lowdown on how to make these goodies here. I'm adding this project to my next girly weekend. Love it. I do that all the time! I hate to spend a ton on stuff I know I can make for way less! Cute coasters! Thanks for sharing my post Emily!! congrats on being featured again on tip junkie! you are the best! this is so great! i made these before and they are so easy!